A few months ago, I shared a funny story about Sarah hiding her favorite toys so Reagan would not play with them. Those tiny toys go straight into her mouth. We have resorted to putting these toys up high like on the counter top when Sarah plays with them and when she is done, we usually put all the tiny pieces in zip lock bags before we put them away. The morning I took these photos, Sarah was still sleeping(she likes to sleep late)and had been playing with her My Little Pony house just before bed the night before. Usually everything gets put away before bed, but she asked us to leave it out so she could come straight down to play with it the next morning, so we left it out on the counter. Reagan spied it while she was eating her breakfast and as you can see giving her a princess doll or two to play with was not cutting it.....she wanted the house complete with all the tiny pieces. Of course I caved and let her play while her sister was still catching some z's and she was under my watchful eye. We don't really have a designated playroom in our house..... the girls have pretty much taken over the family room. They have a "Toy Corner" with baskets and we try to keep their baskets separated, but it has been kind of tough keeping Reagan away from the toys that are not age appropriate. For now we have been keeping a lot of these games and toys up in Sarah's room and then we bring them down and let her play with them on the counter or table. After the big Emergency Room ordeal, the last thing I want to do is have to go back to have a barbie shoe extracted from Reagan's nose or ear.... or even worse yet..... have her choke on something. If I haven't mentioned it.... Reagan totally keeps us on our toes. You cannot take your eyes off of her for a second. 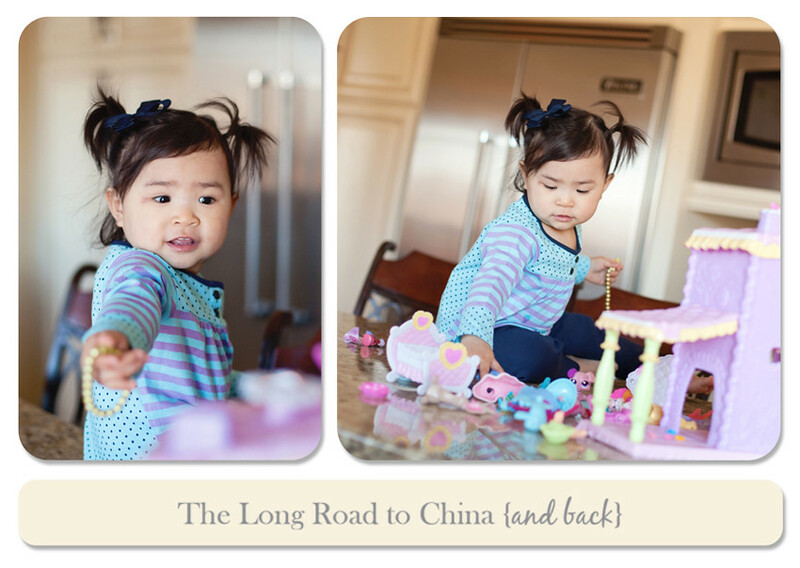 She is a mover and a shaker and will do anything and everything to keep up with her big sis. Speaking of the stitches..... Doesn't her eye look great? For everything that we went through getting them removed, it certainly healed nicely. Lots of pictures to come......I am way behind in my posting and my computer is bursting at the seams. My nephews came to visit on Sunday and there were lots of photos taken with that much cuteness running around. Hope to have another post or two up this week, but it is going to be a tad hectic around here. Tonight is the first, "Get Out of The Auto Zone" class and I am super excited. Then I get to do it all over again Thursday night with a new group of students. The class is going to last 5 weeks, so the posts might be few and far between the next month or so. I will try to post and keep up as best as I can. I am never one to wish time away, but I remember those days of EVERYTHING going in the mouth. I was so worried about "choking hazards". Thank goodness this phase won't last long. Wish I was joining your class! We are still in that stage here and almost finally out of it with Naomi! Reagan's eye looks amazing! Thankful for how quick and well it healed up! Enjoy your classes I know you will do GREAT!!!!! Reagan's eye looks amazing. I guess all that craziness certainly paid off. I remember when Liam first came home. We kept a baby gate on Nat's bedroom door for well over a year so he wouldn't get into all of her little toys. Love the last couple of pics with her holding the princess polly's and crying. I don't blame you one bit for giving in...how could you ever say no to that face? Good luck tonight...not that you even need it! These are so cute! 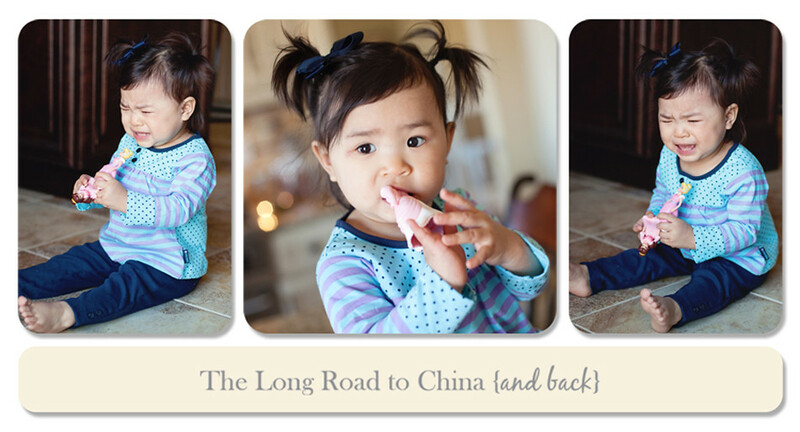 Linhsey never put stuff in her mouth, but her cousin sure did. 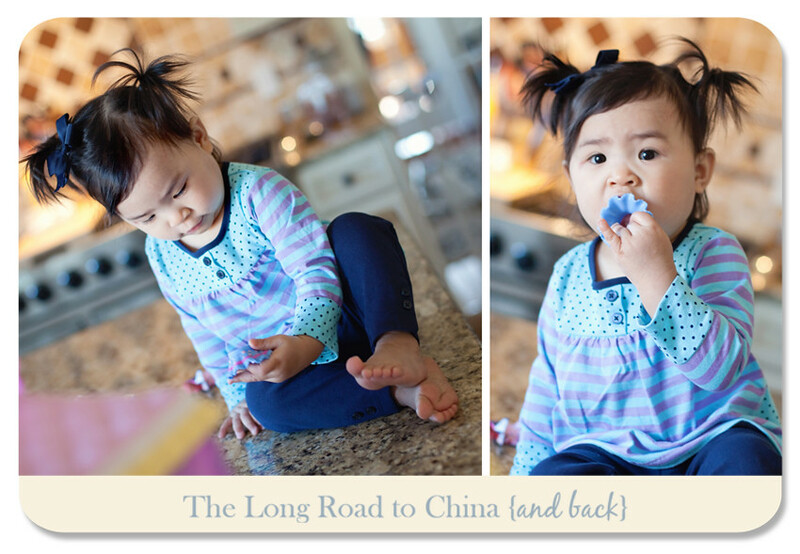 Linhsey still talks about it now every time we pull out bubbles. " Remember Ally used to eat the bubble wand?" And yes, her eye does look great! 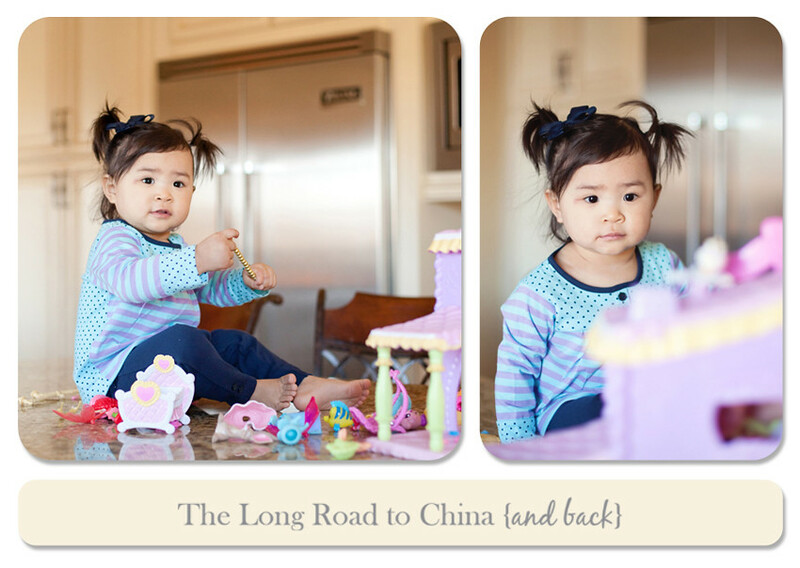 She is just too stinkin' cute in these photos! No luck needed because your class is going to be FABULOUS!!!! Reagan's eye looks great! She is such a doll!!! We have the same issue here with the toys although SJ is a little older and can understand the danger of putting things in her mouth. She wants to do everything just like EK! :) Reagan is just a precious doll!!! LOVE all your beautiful photos!!! WISH I could take your class!!! :) Enjoy and I know it will be awesome!!! I hear you! Our oldest is 5 and into legos, star wars figurines and tons of other toys that have millions of tiny little pieces that are nirvana for our 18 month old! What great photos! I told Olivia that there was a new post complete with Reagan pictures and she squealed with delight! Of course since Daddy grounded her from the computer, I'm going to have to sneak to let her see! ;-) Reagan's eye looks wonderful! They did an amazing job. Can't wait to here how your class goes tonight! I know it will be fabulous! These pics are adorable...as always Lisa. You sure capture the many side of miss Reagans's personality! I remember the toys in the mouth stage well. I know it's difficult when you have one child that wants to play with those toys, and you have to watch the younger one like a hawk so they are safe! I know your class will be fabulous, you are one talented teacher. You'll have to keep us posted. It is frustrating keeping things away from little ones. ALthough Emma is past that stage, her brothers have things that they don't want her touching...it seems that she knows this, and those are the things she wants the most! CANNOT.WAIT.UNTIL.TONIGHT. I am nervous though! Reading through your handout now. Yay! I would have caved too!!! Look at how cute she is!! How adorable. I remember those days with Em b/c Liam was into tiny lego peices around that time. It's hard to keep everything tucked away. Have fun teaching your classes!! Best of luck for tonight, I know you will rock! Lovely surprise to see Reagan here today, so you'll be forgiven if you don't get to post often, we can just look at old posts if need be! At the time, I thought I'd never see the end of Barbie, partic those tiny shoes, as Son would put them in his mouth and i had same fears as you..choking. Now, I'm nostalgic! I was trying to dig out a Red Riding Hood doll for a friend's teaching lesson, came across A. Girl shoes etc, and was almost in tears!! Adorable pics. And you know, as I was reading this, I was thinking "Wow, that is ONE thing that was easier about having two kiddos at the same age. 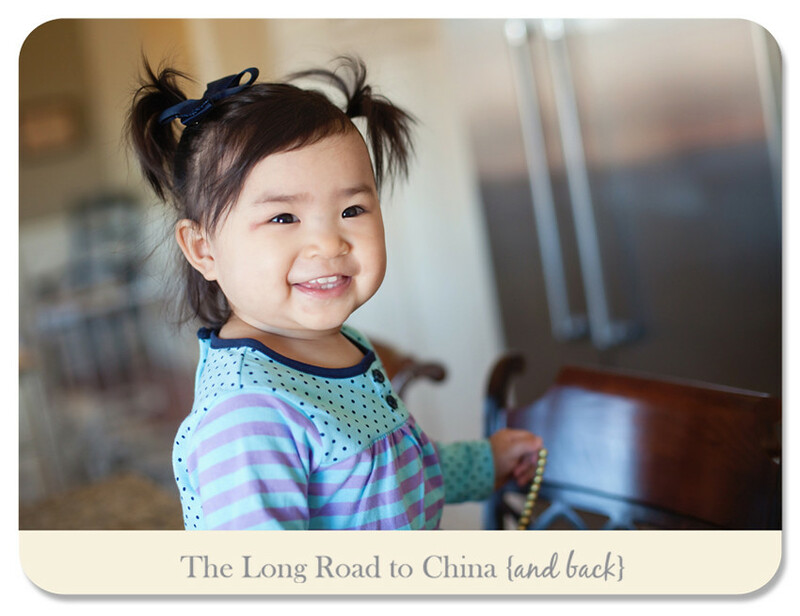 We babyproofed the house for only one age a time." Cool. Oh I know it well. We still have that issue with 8 year age difference between the two. There are oh, so many places tiny GI Joe guns and lite brite pieces can hide...and they are always found by my nosey little girl. Your sweet baby girl grows more smoochable with every passing day. I love her to death....what a doll. And her scar looks AWESOME! What a difference a few weeks make, huh? Best of luck tonight....you are going to show so many people the "light" this week...and they will be amazed! Enjoy! Thanks for the pictures, I needed some sunshine, though I have a similar piece of character in our house here: it is nicer to look at some one else's screaming away because it is not fair that the big one can have it all and not she... You have some very pretty picture material in your house - good thing you know how to take the prettiest pictures on earth! Enjoy your class, I know it will go well! Cutie Patootie!! Love those colors on her and that little personality? I told you those spicy girls are a handful! HAHA! Good luck tonight, you're going to rock it, as always! Have fun getting to know your new students! I just don't know how you resist that face! Lisa she is cute!!!! She is truly adorable! I have a 7 year old that still can't have small toys--he chews them up! Reagan is so adorable, who could resist keeping toys from her? Hope all is well with your photography classes! In our house ALL toys with little bits live upstairs and have a 'play with in your room' policy ~ purely to keep the little ones safe. The little kids toys are downstairs as that's where they mostly play, but the big kids with their little-bits (why do all girl's toys have SOOOO many tiny bits?) simply are not allowed down. It's too much of a tempting hazard for small hands and I'd rather be safe than sorry! Even the school-room has to be baby-friendly and any small bits in there are up high out of reach. I know what you mean about toddlers keeping you on your toes though ~ I've had many years of it, and a few more to come yet!! Oh yes, I remember packing away all of Leila's little pieces in ziploc bags just like it was yesterday. Mia was just like Reagan - every. single. thing. went in her mouth. She still likes to do that today, so I have to keep an eye on all the little germies that go near it. Reagan's eye looks like it is healing so well. Yay!! I'm glad you are keeping with the piggy tails. They look so cute on her! Good luck with your classes, Lisa! With a seven-year-old, I am very afraid of this topic now. Ugh. But I'm loving little miss Reagan's piggy tails. I, too, adore Reagan's pigtails! !